High performance. Smooth and rough sawn timber. Ideal for cladding, fencing and garden structures. 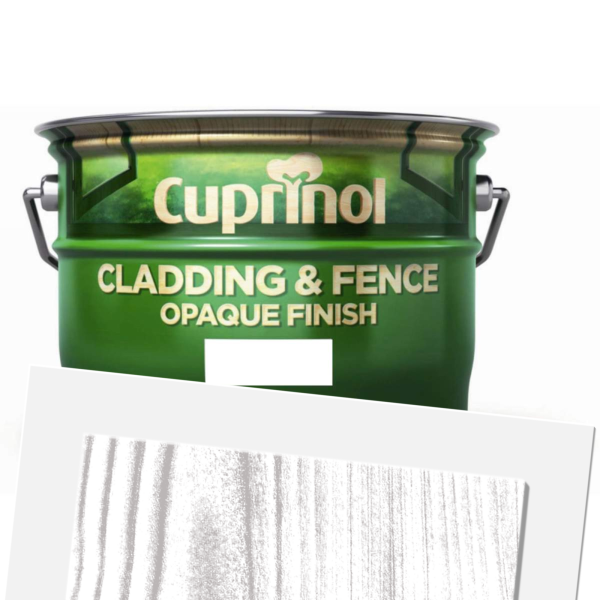 Cuprinol Trade Cladding & Fence Opaque is a solvent-based treatment for exterior smooth and rough sawn timber. A solid coating ideal for protecting cladding, fencing and other garden structures. 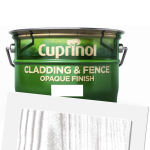 Cuprinol Cladding & Fence Opaque Matt Black is available in 6 colours from the Cuprinol Colour Cards.